Trevor Bayliss is impressed with how England's bowlers were able to "raise the bar" against West Indies knowing they will be vying with Jofra Archer for a Cricket World Cup spot. 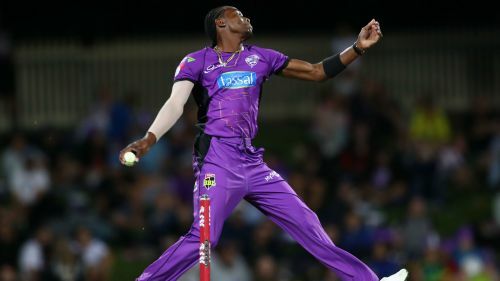 Barbados-born all-rounder Archer qualifies to play for England on Sunday and is expected to make his one-day international debut against Ireland or Pakistan in May. England whitewashed the Windies 3-0 in the Twenty20 International series, with the likes of David Willey, Chris Jordan and Tom Curran making their mark. Bayliss believes the imminent availability of Archer prompted the current crop of pacemen to step it up. "It's great to see those guys raise the bar and put in the performances they did over the T20s," said the England head coach. "With that chat about Jofra the guys we've got here have really stood up and bowled extremely well. "What I will say is with the chat that has been around about him in the last month or two it's been good to see the response we've had from the bowlers. "Some of the performances on this trip have been fantastic, sometimes the best pressure is from within and there hasn't been a lot of pressure on the group from a bowling point of view for a while."